I'm pretty sure everyone reading this knows what my favorite product line is, so there should be no surprise when you see what I'm giving away below. 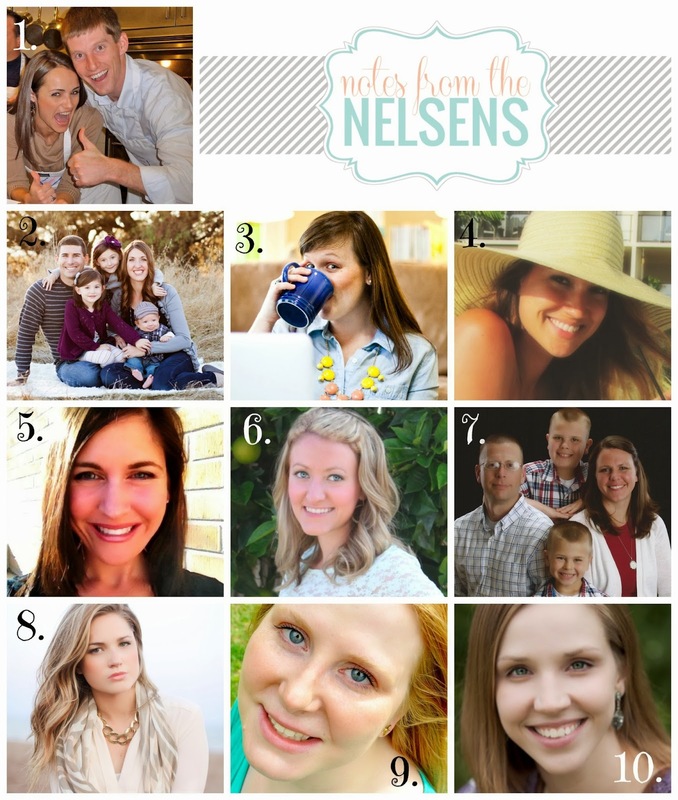 But - even better, I'm just one of ten bloggers giving away something I love! ONE lucky winner wins all! 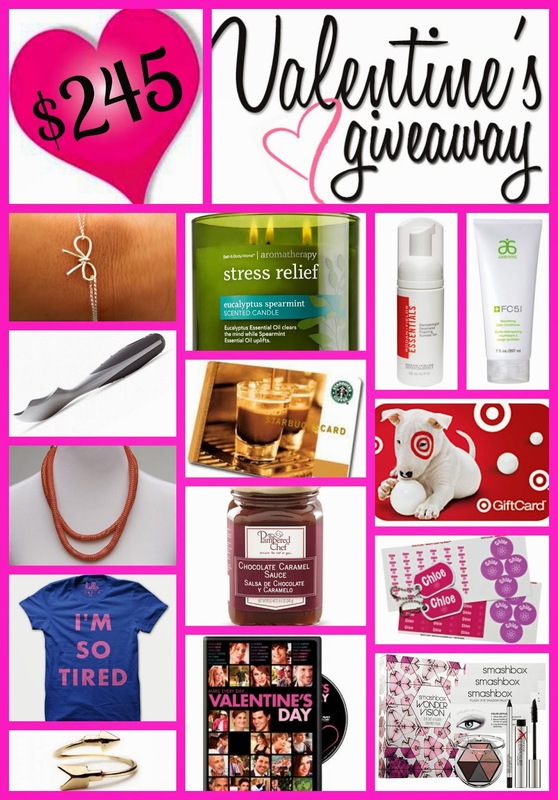 The entire giveaway is valued at $245! Heather is giving away the Bath and Body Works 3-wick Stress Relief Candle. I'm a California girl, born & raised! I love Jesus, wine, coffee, photography & throwing parties. Target is my Happy Place. I am a part time 7th grade math teacher and have been teaching for 10 years. I just recently became an Independant Consultant for Rodan + Fields. I have been married to Kevin for 11 years and we have 3 sweet kids. Kate is 7, Claire is 5 and our baby boy Luke is 17 months old. Mel is giving away the Rodan and Fields Foaming Sunless Tan. I am a wife to my high school sweetheart Jeff, momma to two-year-old Sam, and English teacher to 75 ninth, tenth, and eleventh graders. In my "free time" I moonlights as a blogger at E, Myself, and I where I chronicles my journey into adulthood and my attempts at salvaging a tiny bit of my former “Type A” self. I write about being a working mom, teaching, organizing, decorating, party planning, and The Bachelor, and I'm not afraid to laugh at myself when necessary. I am passionate about connecting women and helping them find freedom in living their real lives with grace, humor, and a strong cup of coffee. Elizabeth is giving away "I'm So Tired" t-shirt from Hello Apparel. Megan is giving away the Smashbox Wonder Vision Eye Set in Flash. I am a coffee-addict, runner during free time, and follower of Jesus. I am married to a super outdoorsy man who keeps me on my toes and has a cute toddler named Lillian who likes to make dinosaur noises. Follow my many adventures at The Dwelling Tree! Tiffany is giving away the Sterling Silver Bow Bracelet. I'm a smitten wife, animal lover, Jesus follower, TV enthusiast, and home decor fanatic. After living in Atlanta all of my life, my husband and I moved to Orange County, California where we are adjusting easily to the constant sunshine, lack of humidity (Praise the Lord! ), and abundance of gourmet cupcakes. I recently started my own organizing company and love to make people's lives a little easier. I'm also slightly obsessed with our three fur babies, Maisy, Mr. Pepper, and Diego, so you'll be seeing a lot of them on my blog! Julie is giving away a Target Gift Card, Starbucks Gift Card, and Valentine's Day DVD. I am a military wife and Mom of two amazing and rambunctious boys. I spend my time divided between my job as a 2 and 3 year old preschool teacher, a Tiger Cub Scout Leader, the Second Counselor in my church women's group, and chauffeuring my boys to their school, sport, and scouting activities. I love to make things with my own hands. I love a good story! Movies, books, art, and music all hold a special place in my heart. The most important thing I can do in life is to spend time with my family. I believe in a lifetime of learning and that life is too short for bad food! Krista is giving away the Pampered Chef Ice-Cream Scoop and Chocolate Caramel Sauce. My blog is about all things I hold dear to my heart... my faith, family, cooking, photography, and travel. My hope is that my blog will bring inspiration, positive encouragement and perhaps a laugh or two to its readers. I am a wife to a wonderful guy named Dusty and mother to an adorable fur-baby named Gus. Samantha is giving away the gorgeous Red Wrap Necklace and Gold Arrow Ring. re•solve is a personal self improvement blog focusing primarily on my green, vegetarian lifestyle with elements of faith and marriage thrown in! Heather Lynne is giving away the Mabel's Labels Basic Kit. I love the "bow" necklace! So cute! Awesome giveaway! Everything is generous but I would love the smashbox kit! It's all awesome but I'm loving The smashing kit! the bow bracelet and target giftcard! The Target gift card for sure. Thanks for the giveaway! Love the Smashbox Wonder Vision Eye Set in Flash! It's all great, but I really want to Target and Starbucks gift cards! The Target gift card… definitely my favorite. But that shirt is exactly how I'm feeling the day after the Super Bowl. I love the bow bracelet!! Of course I would pick the wonder vision kit!